1:5:10:104 EcoTip: A well anchored basic roof is less likely to suffer damage than a complex roof. Hip roofs seem to hold up better than gable roofs. Intricate roofs or those with numerous valleys and changes in pitch are more likely to leak when wind-driven rain forces the water under the flashing or roofing materials or when roofing shingles are blown off. The roofing shingles near the roof edge, which faces the worst winds, should be set in special mastic during construction or re-shingling. Don’t run a solid line of mastic, use dabs so if water does get under the shingles, it will be able to drain back out. 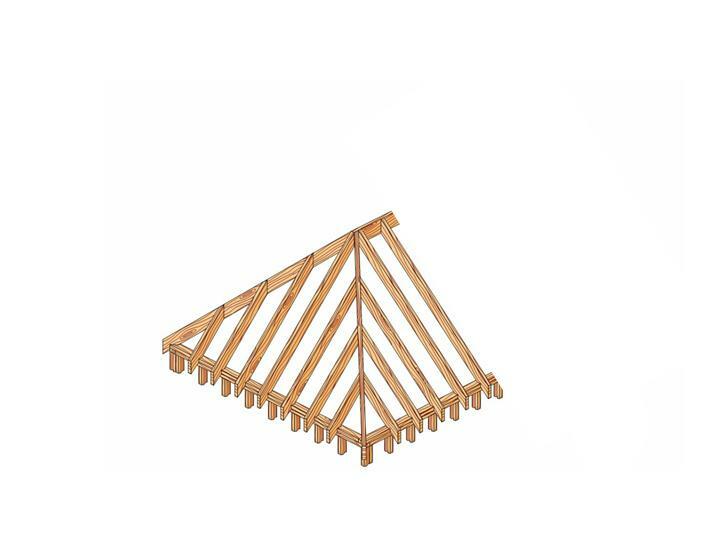 Try to eliminate or minimize penetrations through the roof with special louvered storm vents instead of the standard types of ventilation vents. Roof overhangs help protect walls against water intrusion much better than zero clearance overhangs. Climate change isn”t only about warming. In my book- Extreme Weather Hits Home: Protecting Your Building From Climate Change, I discuss how to prepare your home for many extreme weather conditions such as high winds. 1:5:10:102 EcoTip: Roof slope makes a great deal of difference in the uplift force exerted as wind flows over the top. The steeper the slope the less chance the roof will fly away. The same forces that allow airplanes to fly are exerted on roofs exposed to strong winds. The angle of your roof can make a great difference to whether your roof will stay intact or sail away like the wings of a plane. Research conducted by Clemson University at their wind load test facility has demonstrated that a category 5 hurricane can develop uplift as much as 100 pounds per square foot. This is typically enough to lift a house right off its foundation. The lifting force is greatest for flat or low-slope roofs. As the angle of the roof increases the force drops. A roof slope between 4.5 and 6.5 seems to be the least aerodynamic. 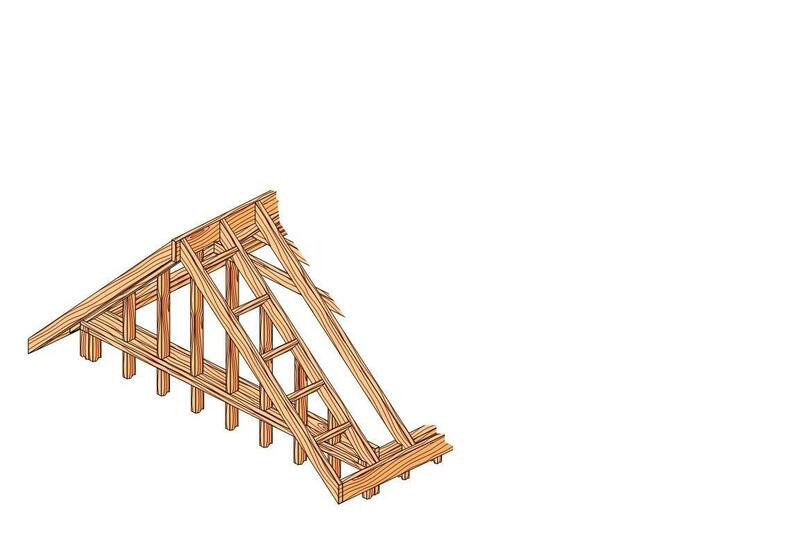 A gable roof will act more like the wings of a plane than a hip roof which slopes down on all sides, helping to cancel lift forces from all directions (Clemson). The lifting force of wind is tremendous. When airplanes taxi for takeoff they achieve speeds in the 50 to 150 mph range, which is about the same as those speeds found in damaging winds. The roof of your home has a much greater lifting surface area than most airplane wings, allowing the entire roof to be lifted off the house. Once the roof is gone the walls will easily collapse. 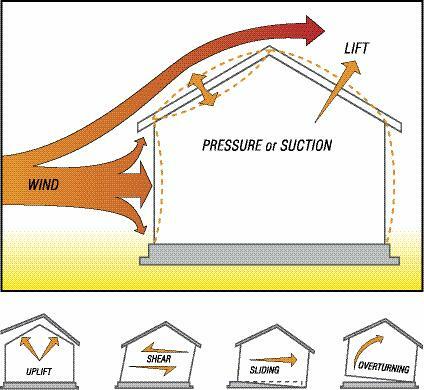 The lifting force for a roof — just like an airplane wing — is caused by the Bernoulli effect of air passing over the top of the roof creating lift. Some people have advised keeping your windows open to help neutralize the interior building pressure but this doesn’t really work and will let in lots of water causing additional damage to the interior. The best way to keep homes intact when exposed to strong winds is to keep them in one piece and securely fixed to the foundation.